Centreline Suspension is a race car builder! 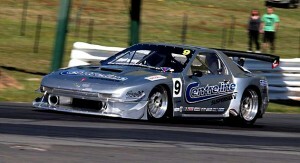 At Centreline Suspension we have the proven racetrack experience. We not only run our own race vehicles but we also work on a large number of other competition cars in many different forms of motorsport, including Tony Evangelou’s V8 Supercar which finished 6th in its first outing at the Clipsal 500 in Adelaide. 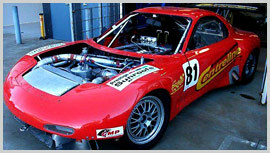 Over the past 25 years Centreline as a race car builder has produced multiple championship winning race cars, they have built and maintained main level v8 supercars in house and produced great results in Australia’s top level motorsport categories. Centreline currently produce winning results in all forms of motorsport and with there experience and dedication it gives you the leading edge to be at your best round after round. Centreline is a race car builder that specializes in all forms of suspension tuning and corner weight setups, they can use previous knowledge and experience to save you money and time eliminating the trial and error process, If you need advice or help getting your race car back on track visit Centreline the race car builder with the right expertise for a chat and some help to get your race car to its peak. Centreline’s Silver Bullet is Australia’s fastest RX7 and it was constructed completely in house at Centreline Suspension’s Thomastown workshop. 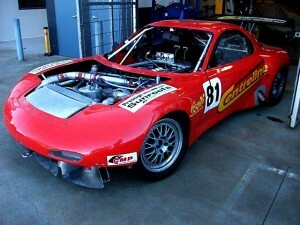 Centreline Suspension is a race car builder based in Melbourne, we specializes in race car setups and as a race car builder with experience in many forms of racing we have the right advise and can help you get the most out of your race car. To see how we can help you improve your lap times contact us now.